Brussel Sprouts are super cheap and in season! This dish is so easy and great for entertaining. Try out this one on your picky eaters and they’ll be hooked for sure. Besides, everyone knows that everything tastes better with bacon. If you want to take it one step further, add some chopped apple to bring some sweetness. Clean and halve the brussel sprouts. 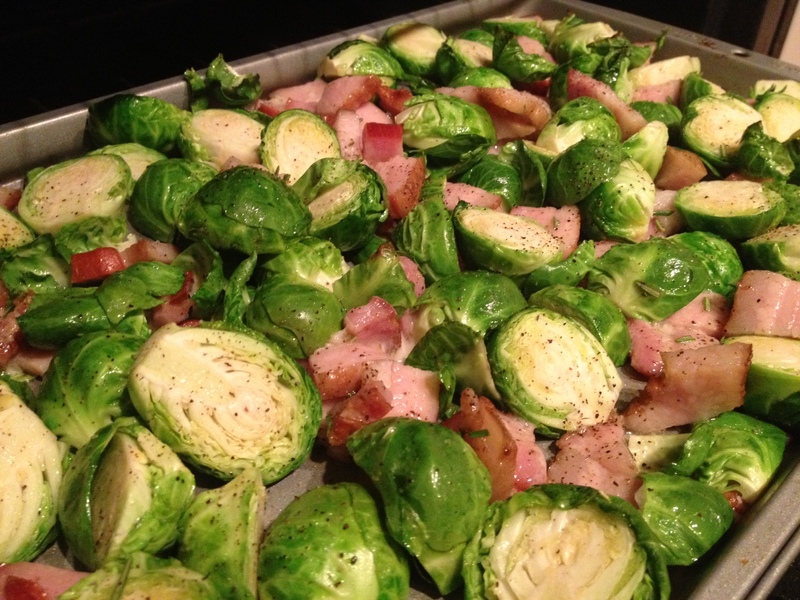 Chop bacon and mix with sprouts, olive oil, salt, pepper, and rosemary. Spread evenly on a baking sheet and bake for 20 mins until bacon is cooked through and the sprouts begin to brown and carmelize.